Promotional items are one way of saving money, translating into earning money in the long term. Stay up to date with sales, promos and discounts in your city, as well as in many online stores. 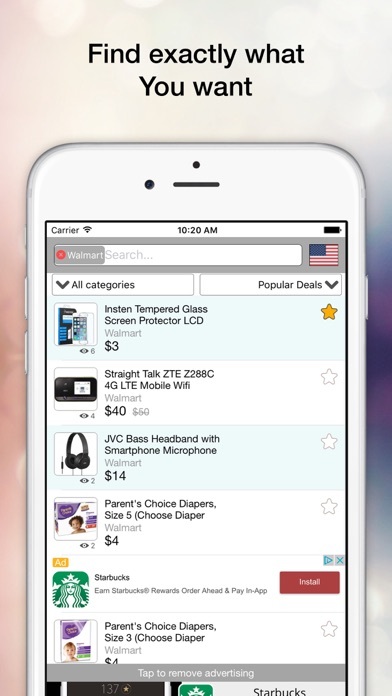 Comprehensive search will help you find what you need at the lowest price! Buy profitably. This is our motto! Features of our app: - 100,000+ promo items, sale and discounts; - 100,000+ items in online stores; - Popular and bargain promotions in your country; - Popular store sections; - History - Easy to find deals, promotions and sales; - Favorite section for your desired promotions. 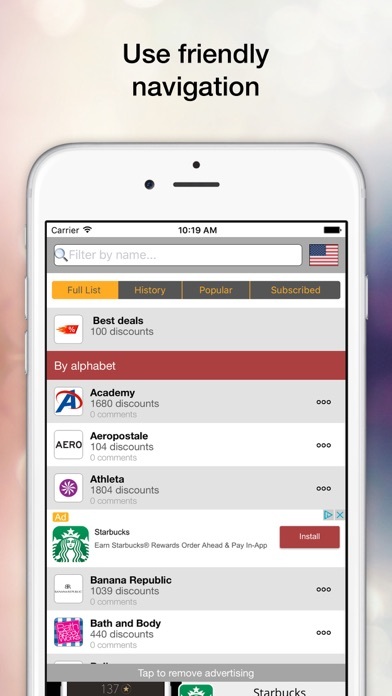 Offline mode - Sort by: name, price, popular or the most profitable deals; - Map. Easy to find store locations - News feed. Push notifications with store update details - Save Your money easily! And many other features. Is your favorite store missing? Just write to us! And we will add it ASAP! "Discounts" Save on your purchase, then earn! Sales, discounts and promotions! Отличное приложение, очень удобно, когда не нужно искать информацию по многим сайтам, здесь все акции собраны в одном месте, просто супер!